The Milan Urban Food Policy Pact aims to increase city gardening, support small farmers and make fresh food more readily available in urban settings. 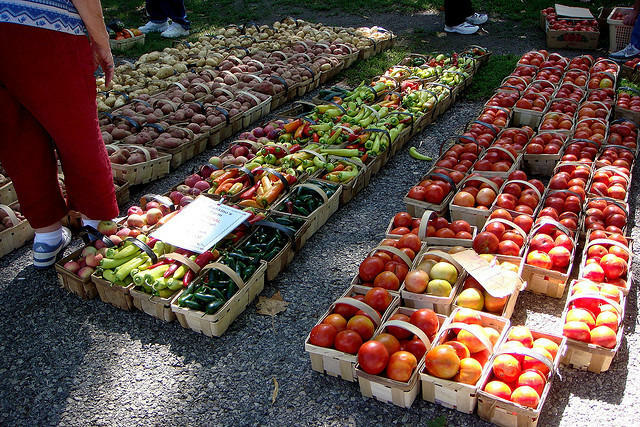 Joining cities such as Amsterdam, Shanghai and Barcelona, Pittsburgh has signed onto the “Milan Urban Food Policy Pact.” It’s a worldwide effort to examine the system of how food is produced and distributed as demographics change. New York, Baltimore and San Francisco are some of the cities which have signed on so far, with Pittsburgh signing on last week. “There’s a framework for action, which includes recommended actions in several different areas, including food supply and distribution, social and economic food production, food access, sustainable diets and nutrition,” said Danko-Day. Actions may include supporting small farms and small production sites, supporting community gardens, farmers markets and limiting food waste. The ultimate goal is to grow more food in the city, which means educating people on how they can grow their own food. To that end, she highlighted the city’s Adopt-A-Lot program. It allows residents to use city-owned land for food, flower and rain gardens. Danko-Day said Mayor Bill Peduto’s administration also supports revised urban agriculture zoning codes that would, for example, allow residents to have chickens or bees. The Milan Urban Food Policy Pact seeks to empower cities to create stronger, more viable food systems. “Thinking of food and food access as opposed to like a luxury, it’s an amenity we all need – we need to have access to food,” said Danko-Day. Some of the action items in the Pact are already in the works or have been implemented in the city, according to the Mayor’s office. Those include re-orienting food programs in the schools, generating awareness about diseases associated with poor diets and obesity, as well as promoting higher wages. Can Food Trucks Help Solve Pittsburgh's Food Desert Dilemma? Food trucks are commonplace in cities such as Los Angeles or New York, but Pittsburgh has had a hard time embracing the mobile eateries. All that could change with Farm Truck Foods. Awesome Pittsburgh, which gives grants to people "with brilliant ideas," this week awarded the company $1,000 for its proposed solution to the city’s food desert dilemma.